It can be difficult to envisage a whole continent and its place in the world. 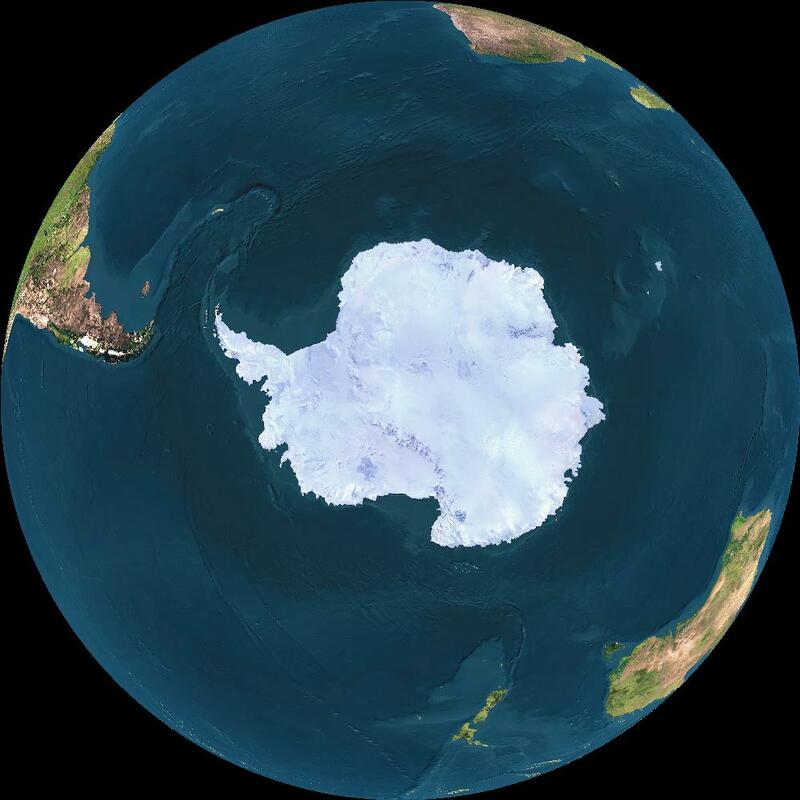 Here are some composite maps and pictures that give a good impression of Antarctica in three dimensions with and without ice and in relation to how it fits into the globe. The outline of Antarctica is frequently different in different images as some represent the continent during the summer, some during the winter and some in between. 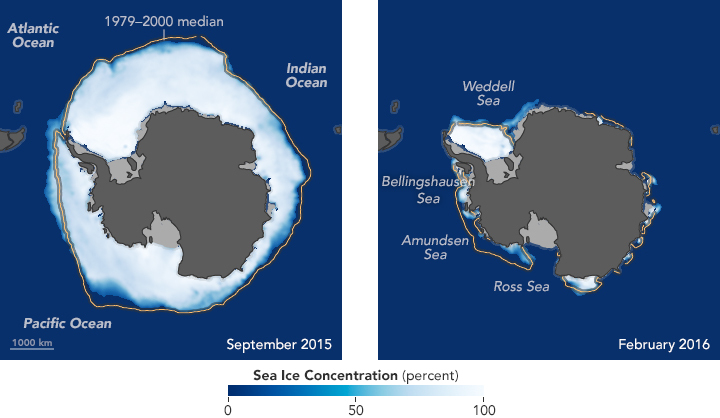 At its greatest extent the winter sea-ice just about doubles the size of Antarctica. Even in the summer the shape of the coast-line varies as very little of it consists of rock leading down to the sea. 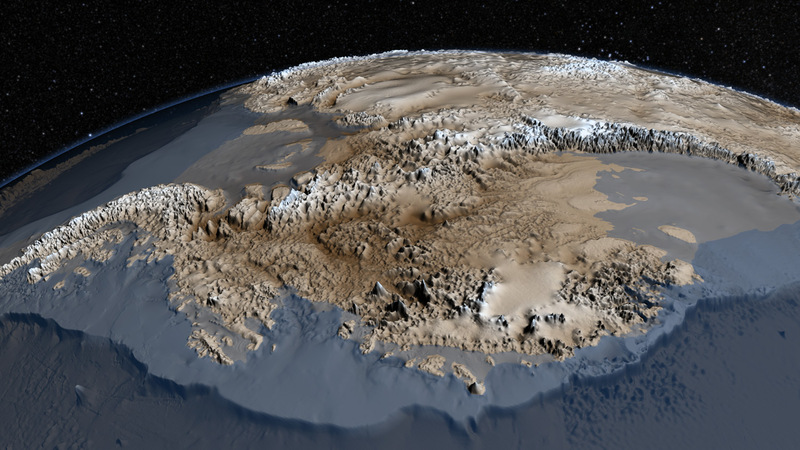 Much of the edge of Antarctica is an ice-edge of constantly flowing and ebbing glaciers, ice shelves and sea-ice that sometimes may break out each year, sometimes not for a few years. 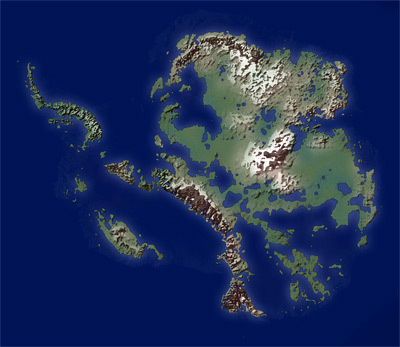 A bit of a map-makers night-mare in fact. No sooner is a map made, than it's out of date. 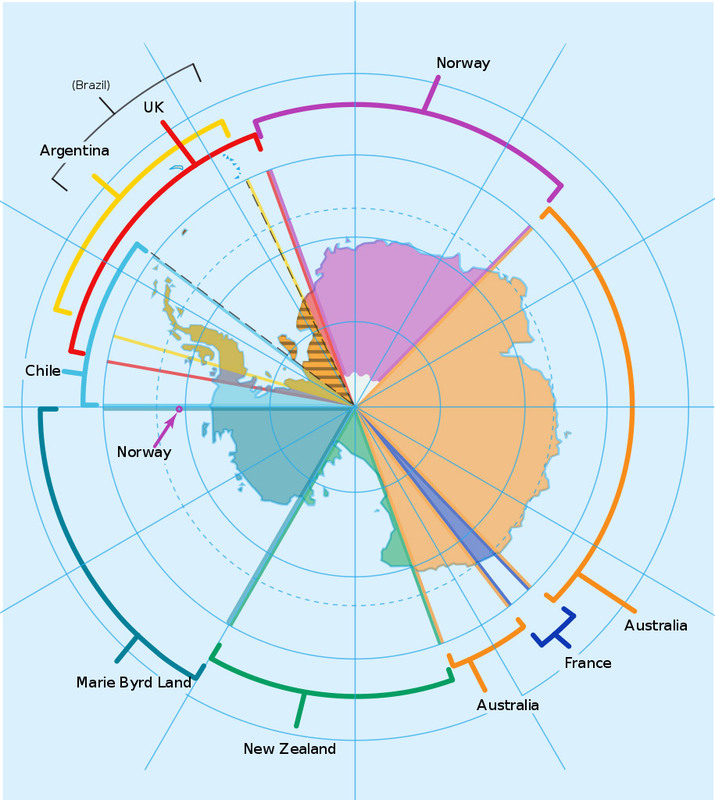 For other views of Antarctica (and the rest of the world too) take a look at the excellent Earth viewer, this allows you to choose your position above the earth according to longitude and latitude and even the day and time of year to follow where the sun goes with the seasons. 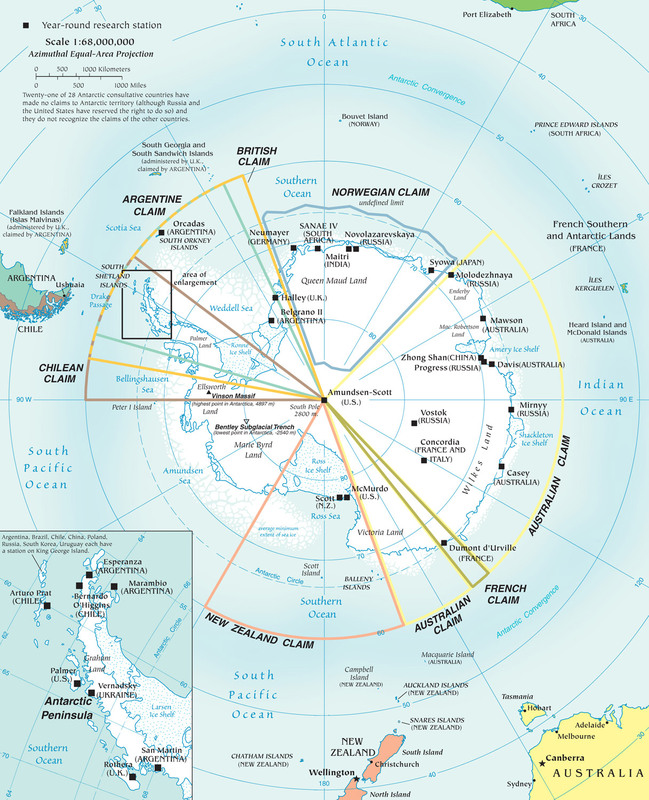 Free use downloadable maps of Antarctica, all approx. 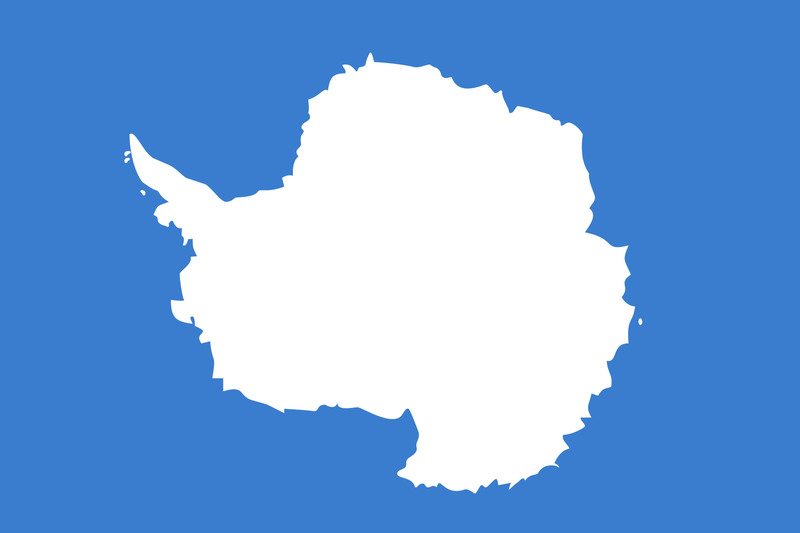 2400px wide. 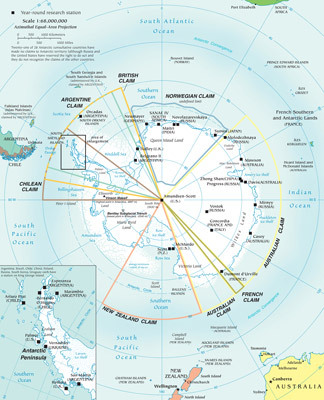 No parts of Antarctica are "owned" by any single country, these are historical territorial claims that pre-date the Antarctic Treaty of 1961, these claims are put on hold while the Treaty is in force and no new claims will be recognised. Antarctica as it would be seen if the ice were removed, this is the amount of the bedrock that is above sea level, if the ice were removed, the rock would slowly spring back again as the weight of the ice is pushing the rock further into the planets surface. 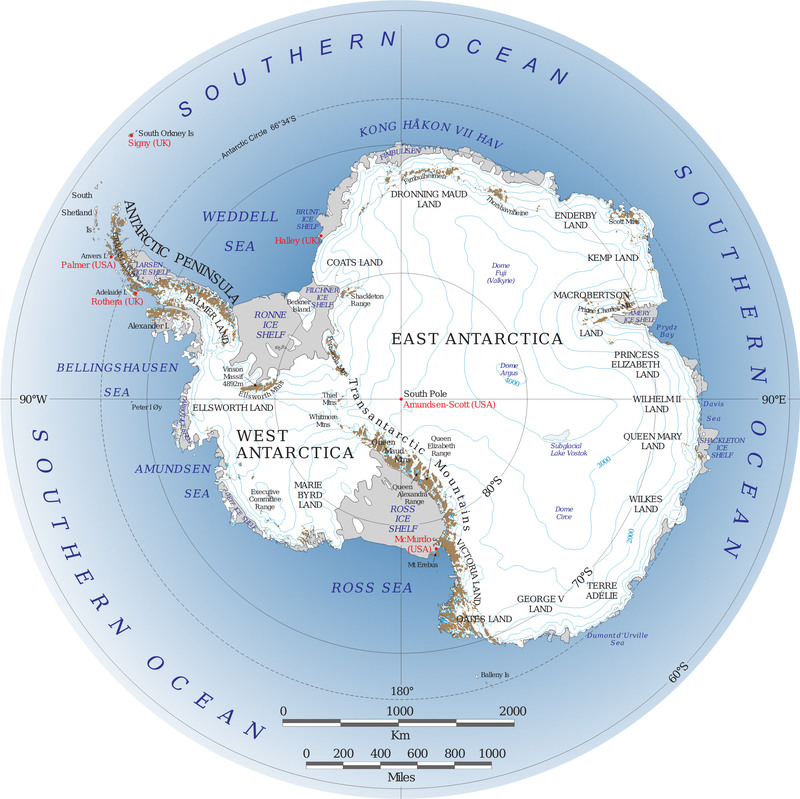 Much of the continental "land" area of Antarctica is actually currently depressed below sea level due to the weight of the ice above it. The above images do not take into consideration that sea-level would rise due to the melted ice or that the land would slowly rise again over the period of a few tens of thousands of years. It is estimated that the land is pushed down about 1,625ft (500m) by the ice. 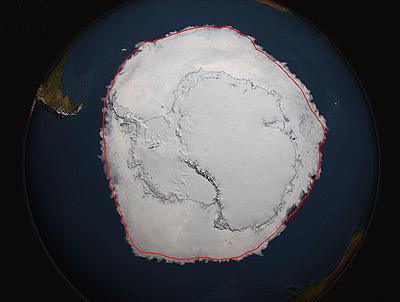 The average depth of the ice sheet is more than 2,000ft (6,600ft). 3-D computer generated images taken from hundreds of data points. I particularly like these as they give a feeling for the height of Antarctica. 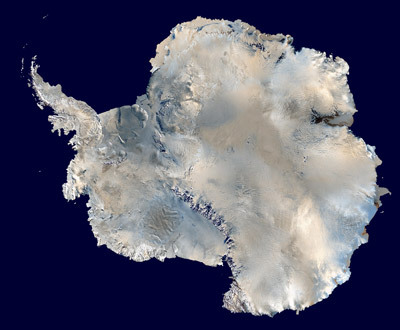 The average height of the continent is 2,400m (8,000ft) as against the next highest which is Asia at an average of 900m (3,000ft). 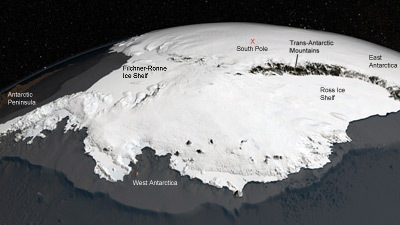 The high dome of East Antarctica is clearly seen as is the elevation of the South Pole and the formidable barrier presented by the Trans-Antarctic Mountains which usually just appear as a diffuse line running across maps as seen from above. 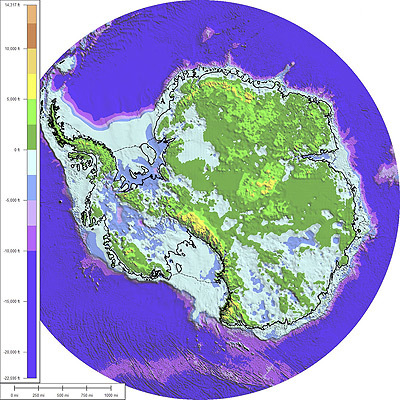 The overall area of Antarctica including sea-ice cover doubles in size between the minimum and maximum extents. 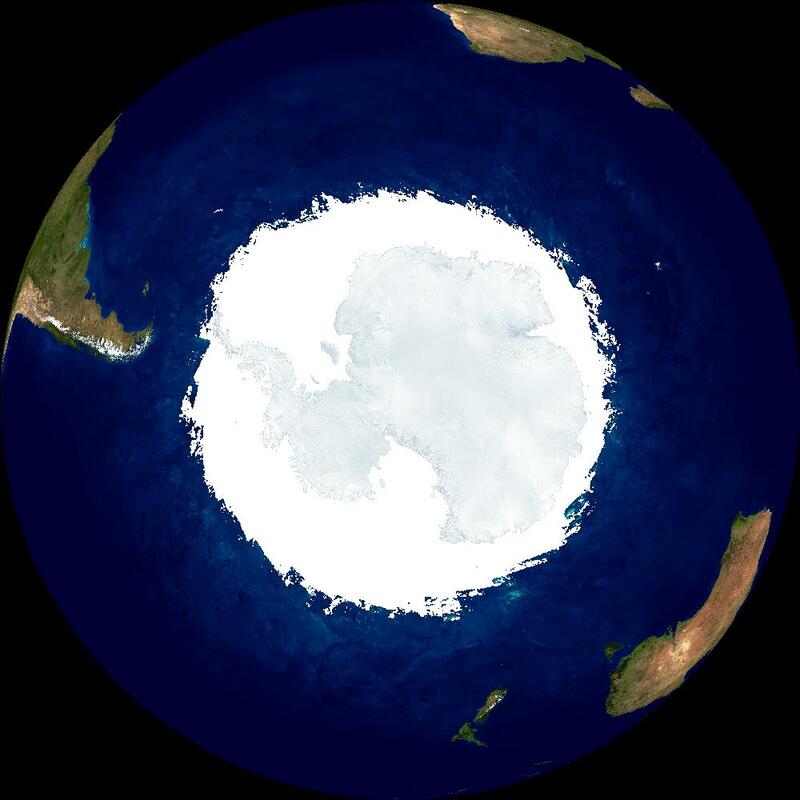 This sea-ice (along with extreme cold, storms and darkness) is what shuts Antarctica off from the outside world during the winter months.